With ℃-ute having announced their breakup, Hello! Project is going to change in a huge way. In the midst of that, 'Momochi' Tsugunaga Momoko who is attached to Country Girls will become by far and away the most senior. Should we expect Momochi to become the Hello! Project leader? We take a direct strike at the lady herself. － Isn't ℃-ute breaking up? 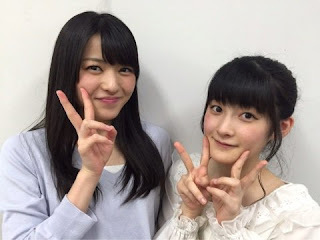 Momochi-san, doesn't this mean that you're going to be the oldest in age? That's right. But I think that everyone's misunderstanding things. You might think that since ℃-ute has H!P's leader, that means that ℃-ute's the top dog in H!P... But if you look at the order for things like outfits, I actually hold the seat of honour. － Is that so? So even with ℃-ute already there, rank-wise, you're at the top? There's Momochi, then there's ℃-ute... That's roughly how it is, so even though lots of people are telling me that I'm finally going to be at the top, they're mistaken (angry look on her face). － So you've already been number one for quite a while. That's right. Well, setting that aside, ℃-ute are my contemporaries, a group with whom I've been in friendly competition with for about almost 15 years, so I'm obviously sad as well. But Berryz Kobo have entered a hiatus and are going down our individual paths, doing what we want to do. I think that ℃-ute have things that they individually want to do, or things that they can't do through their group activities, so they'll be going on to those individually. Thus, I feel like I'd like to support them with everything I've got. －Once that happens, there's one problem. Yajima Maimi-san is Hello! Project's leader, so Momochi-san, aren't you next in line? Me? That's true, it's not impossible. But I honestly really love myself, so I'm not really interested in things that don't concern me. That said, I'm not really sure what the job of H!P leader entails in general, and it's not like I particularly want or don't want to be the leader... I've never really given much thought to being the leader (laughs). － That's an unexpected view. Putting that aside, before you even start with who's the leader, I'm the emblem of H!P. That's right. I'd like to go on with idol activities from now on bearing that proudly. － That already sounds more remarkable than being the leader. And so, Maimi's already leader, and I'm the emblem, so they're different dimensions. Being an emblem isn't something that just anyone can do, right? It's not something that you can be picked for either. Being the emblem was something that just happened naturally. It's not like I ran for candidacy. Well, it's not like the staff have said that 'Momochi is the emblem', but it's like it happened naturally. From way back (laughs). I was the emblem before I knew it. It's not something that started one or two years back. Of course. Tsunku♂-san taught me that once you're on the stage, it doesn't matter if you're a senpai or a kouhai. － You're properly following Tsunku♂-san's precepts, aren't you? Well, what if they insist that you be the leader? Well, at any rate, I'd like to keep on having everyone follow leader Yajima Maimi. － You're able to work with her. Of course! I'm happy to accommodate that. Yup, but I've been busy almost every day with activities as Country Girls, so I'm not really thinking about it. But in that case, I haven't been able to experience a Hello! 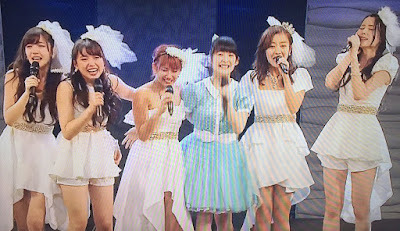 Project concert without ℃-ute, and ℃-ute will no longer be around at the next New Year Hello! Project concerts, so perhaps that's what's been playing in people's minds... But at the moment, I'm not particularly worried about that. At any rate, I'd like to be in a commercial. － That's straight to the point (laughs). Isn't that what everyone wants? It's not like I'm particularly unfavourable. I'm clean, I don't badmouth people, so I personally think that I'm really suited for commercials. On a fairly regular basis... About once every two weeks, I'll ask my manager whether any news of a commercial has come around. I'm told 'No' every time. No no no, plus I've got good looks. That's got to play a huge role. － Since you'd look good on camera with your good looks. You'd be a blast in commercials. I'd also give a different impression, which would make the product sell well. But having thought about it deeply, I've done some self-analysis about why I'm not getting any commercial work. I'd stand out more than the products. The merits of the products wouldn't stand out. I'd overshadow them. －For things like cosmetics, there wouldn't be much to improve on since they would be starting with such a good base. You know, since the base is so good... something like that. And the reason why I'm not really getting any modelling jobs is because the clothes should be the highlight, but since I stand out, it doesn't really help to sell the clothes. － Well, let's put this discussion about commercials aside. Besides that, is there any work that you'd personally like to do? For example, will you go on being 'the usual Momochi' on variety shows? － This might not sound nice, but will you go on being with your current teasable character? － I'm sorry, not teasable, lovable. I'm loved. And so, I'm really happy, I enjoy it. Everyone smiles watching Momochi, which makes me glad to be an idol. － That's a good story. That's what an idol is. Yes. I'd like to work more with lots of people. － If you hadn't been kicked by Kato Koji-san, Momochi wouldn't have become this renowned. － So it's like you were raised by Kato-san. And so, whenever I work together with Kato-san on other programmes, I greet him especially politely. － Recently, ℃-ute's Okai Chisato-san has really been tearing up the variety scene. In regards to things like how irritating she is, is she not a rival to you? Irritating! That would be a no (laughs). I don't really have any particularly strange sense of rivalry. － There was a point in time when it felt that Momochi was staggeringly popular. Though you still are now. Entering Country Girls, or firstly H!P, I really think that it would be nice if idol culture would continue on uninterrupted. － That's wonderful. What do you do when people point out that you're Momochi? I reply 'Yup, I'm Momochi~'. － Even replying 'I'm Momochi～' is amazing. So that they know that I'm the genuine article. － How kind of you. Yes, courteous, aren't I? However, why aren't any commercial deals coming in? － I can't do anything about that!